The web reputation of your business is vital to its success. The trust and confidence a consumer has in your company directly impacts the bottom line of your company. In the past, companies relied on word of mouth to bring in new customers and clients and to generate business. However, now in this digital age with booming social media and websites, the presence and reputation your business has on the web is significant and could make or break the future of your company. The consumer has the world wide web at their fingertips and has the power to conduct their own research about a company before purchasing their products or services. A bad review will stay posted forever and could be shared to thousands of others in an instant, continuing to tarnish a company’s reputation for years to come. A customer with a good experience with a business could share it with hundreds of their friends on their various social media outlets, encouraging them to try it as well. As you can see, web reputation is extremely important in this time of instant communication. Items that had good reviews sell 200% more than items that had no reviews (LinkedIn). 42% of e-commerce websites stated that they noticed increased sales once they began putting reviews alongside their products (LinkedIn). 84% of consumers take the time to read reviews online and 72% of consumers put their trust in these reviews (LinkedIn). 85% of consumers say that they read up to around 10 reviews for a local business before they decide to purchase its product or service (BrightLocal). 88% of consumers agree that an online rating is just as important to them as a personal recommendation from friends or family (BrightLocal). Enabling customer reviews for your business will give it a higher chance of having a higher ranking in search engine results and will generate more visits (Forbes). Just think about it, are you more likely to buy from a 1-star ranked company or a 5-star business? It’s that simple, your ranking matters! We create and manage review sites for you such as Yelp, Nolo and Avvo (for lawyers), Zillow (for real estate agents), and more. We then share the reviews you receive across multiple social mediums to increase views and awareness of your business. We create and submit citations to directories which increase your web presence and increase your rankings on search engine results. A business citation is a mention or listing of a business’ name and address on other websites and directories. When your business shows up on a city’s business index or a directory, consumers will take comfort in the fact that your company is legitimate and part of the community. The more consumers see your business’ name show up in various directories and sites, the more they will become familiar with your company and will be more likely to trust it. More citations for your business improves the rankings of your company’s listings in search engine results, which will increase exposure and bring more people to your website. We send follow up emails to the customers of our clients to request feedback on your business so you know what you’re doing right and what needs to be improved, plus building your positive reviews! We monitor the web to maintain your web reputation. 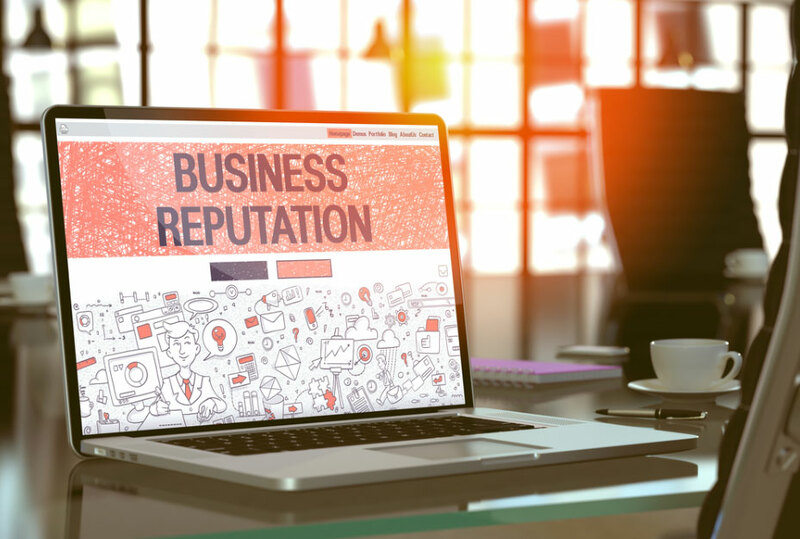 If we detect any negative reviews associated with your business, we go about it in a proactive method: we reach out to unsatisfied customers and try to fix the problem so that your business won’t lose that customer and the bad review won’t continue to damage your company’s reputation.